Each bite is a savory blend of cornbread and chili! 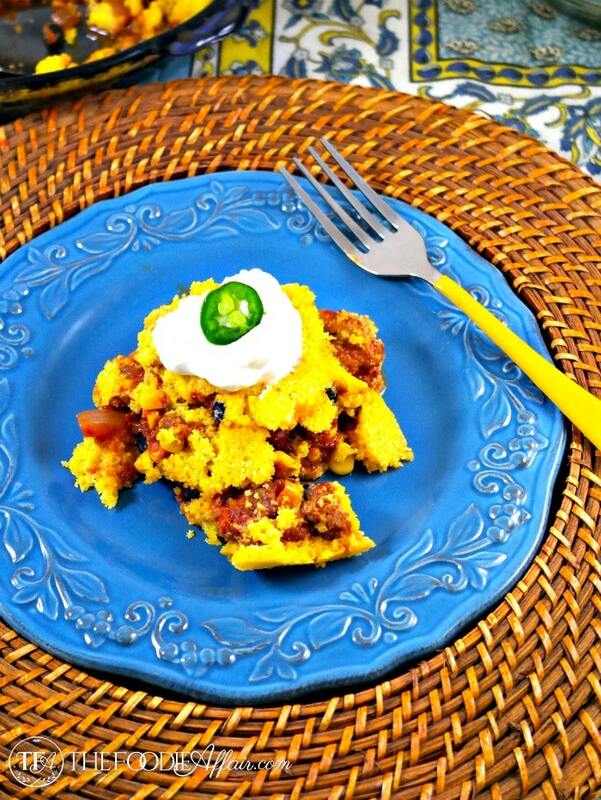 This Turkey Chili Cornbread Pie is pure comfort food! This savory pie has some spice from the chili and sweet from the corn! Such a delicious combination and with each fork full you’ll get a bite of the cornbread crust. Top the pie with some sour cream or Greek yogurt, and add sliced jalapenos for some extra heat! This recipe makes enough to serve 6-8, so instead of baking this in a casserole dish I made two pies. One is for Alan and me and the other is for Sam to enjoy at his new place (sniff-sniff…woo-hoo!). Alan and I will have the house to ourselves again. After coming back to CA after a year at the University of Hawaii and another half year in Santa Barbara, Sam has been home attending our local community college. There were various aspects of the college scene that wasn’t clicking with him. I think he felt that going away to college was the thing to do, even though we encouraged him to stick around for a few years. Regardless, he’s happy to be back in town and so am I! There is a California State University a short 11 miles from where we live, and that’s where he’ll be attending in the Fall, but he still wants to live out on his own. That’s cool. He’s renting a house with two other roommates near the college, so that means he’ll be living off chicken, rice and veggies again, which is a great alternative to the Top Ramen and Mac ‘n Cheese I ate during my college years! I’m sure he’ll be by often, especially when he gets bored with his menu and gets a taste of this Turkey Chili Cornbread Pie! Preheat oven to 375 degrees and lightly coat with non stick baking spray a baking dish or 2 pie dishes. Set aside. Heat oil over medium high heat and add turkey to a large skillet. Break up meat and when almost completely cooked, add onion and cook until meat is no longer pink and the onion is soft and fragrant. Blend in garlic and chili powder. Once combined add crushed tomatoes and corn. Simmer for 5-7 minutes. Remove from heat and stir in beans and season with salt and pepper to taste. 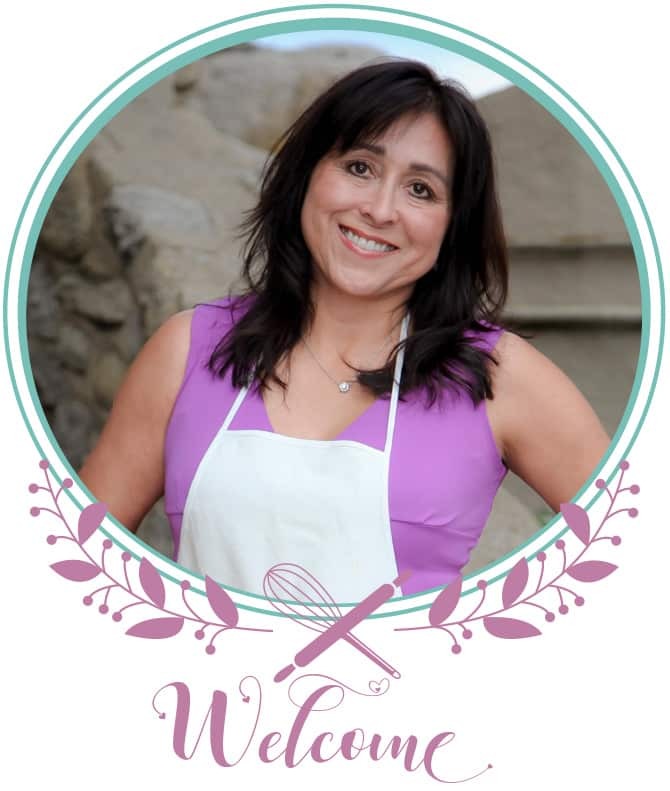 In two separate small bowls whisk together milk, eggs and butter, and then whisk in the other bowl the cornmeal, flour, sugar, baking powder, baking soda and salt. Add liquid mixture to cornmeal and mix until combined. Put chili in prepared baking or pie dishes and top with cornbread mix. Bake for about 25 minutes or until bread is lightly golden. You can use two pre-made cornbread mixes like Jiffy if you prefer. Oh, I’m going to see what you did. I know your photos are going to be gorgeous! I used to always make corn bread with chili. 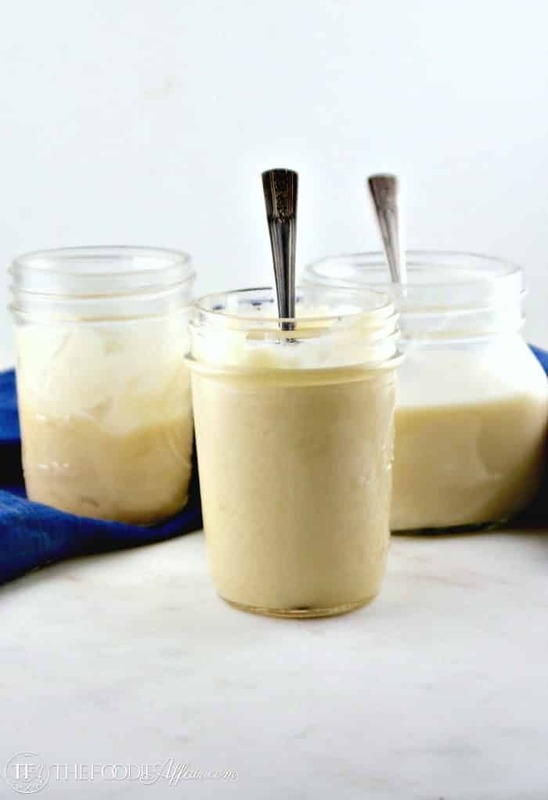 Your recipe makes me miss this combination—looks like pure comfort food!! I haven’t made cornbread in such a long time. Every time I do I it’s eaten in a flash! Sam sure is one lucky kid. Guess from now on you will be making extras, one for you and hubby and one for Sam. He’s a good eater, so if he doesn’t swing by often, I better start cooking just for two! I would be all over this dish! I love sweet mixed with heat! Will be keeping this in mind to make for Hubby and me! A real family meal no doubt! Yes, a meal the whole family will dive into! I love tamale pie! My mom used to make this when I was a kid. Your recipe brings back memories. I will have to try this! This is one of those meals that everyone loves! A great family favorite! Oh yum!! This meal is right up my alley!! This dish comes together super quick too! I graduated from CSUF. It’s been about 20 years since I’ve been back. I love the way you have lightened this casserole. That cornbread crust is going to have me diving in for more. I’ve gone to a couple of football games at my Alma mater, but that’s it! Yeah, the cornbread is good! Thank you, Marion. It’s an instant hit with us! I love cornbread with chili! this sounds delish! Thanks, Rachael! It’s a great combination! This savory pie definitely hits the spot! This looks so good. I think this will be one of our future dinners. We’ll be eating this again soon too! Even though it is not cold here in Hong Kong today but it is very damp and dreary and some pure comfort food would hit the spot. I like the idea of joining the cornbread and chili in one dish. Brilliant. The weather really does make an impact on what we want to eat! This is a tasty dish and I love the cornbread you get with every bite! I love this type of pie. 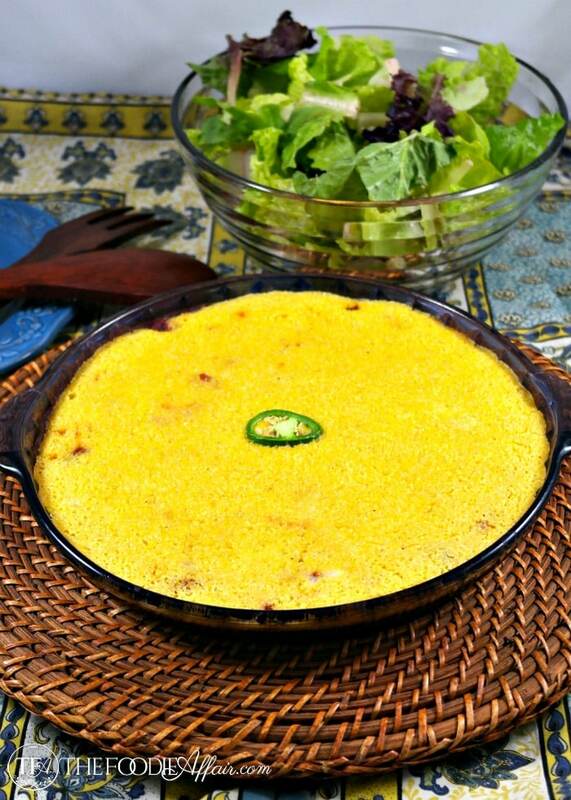 Our family’s favorite cornbread pie is tamale pie. That one uses hamburger. Never thought of putting turkey in it. Thanks for the great idea! This pie sounds really delicious, Sandra. 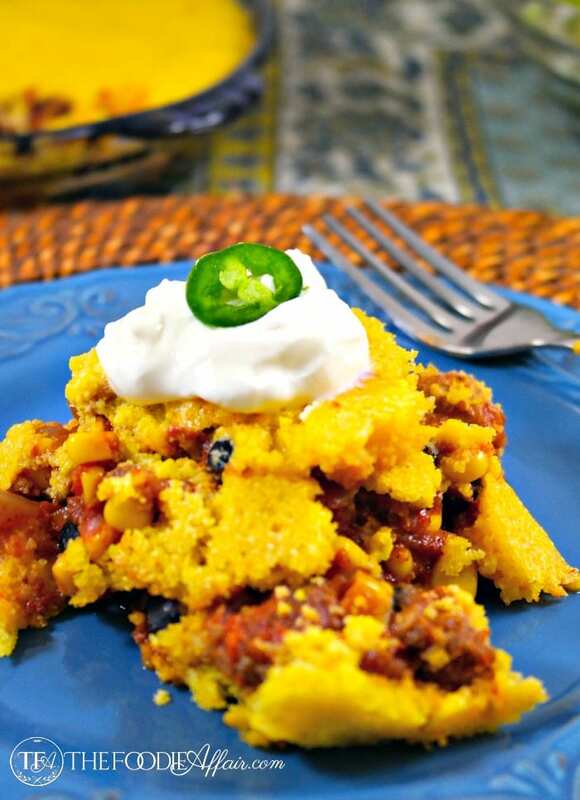 What a great idea to combine chili and cornbread into a pie! YUM! Our house loves cornbread with their chili! 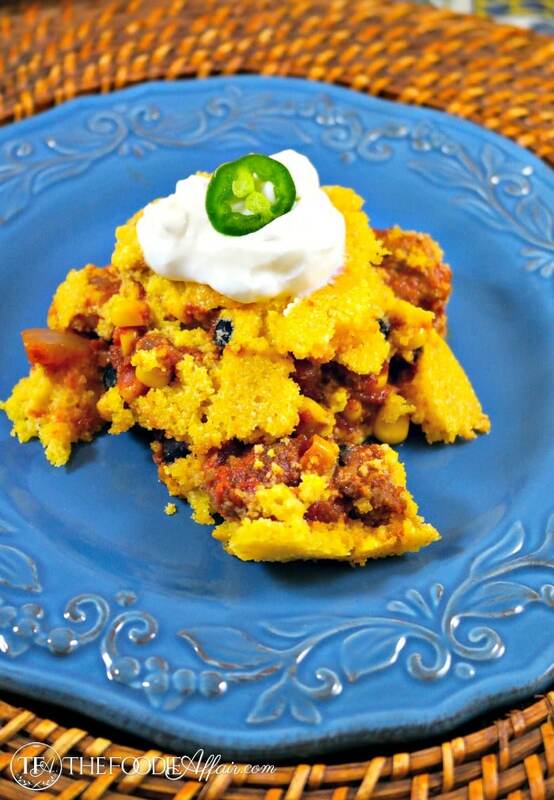 I love your turkey chili cornbread pie – everything all-in-one dish and delicious! This looks delicious. I enjoy cornbread with my chili, but never thought to add them together.